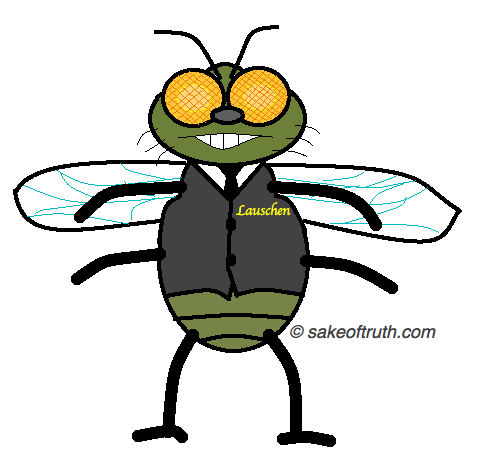 Meet Lauschen the Fly,* an expert eavesdropper and world-traveling bug with a keen interest in biblical studies. In weeks to come, we’re going to get a glimpse of some of the crazy things that Lauschen has witnessed in biblical studies—the funny conversations scholars share, the peculiar behavior of academicians, and, perhaps those rare visits Lauschen has made to Erasmus’ Bosom, you know, that holding place of the scholarly dead. Now those conversations are quite something. I do hope you enjoy this series of posts. I plan on a mix of satire, parody, good-spirited critique, and theological reflection. The first “episode” should come out later this week. *To be scholarly, I should add a note: Lauschen is a character I imagined in one my sillier moments a short time after a professor-friend asked if I had ever considered fiction writing. The picture of Lauschen is my own digital-design, though inspired by a few different depictions I’ve seen.